Lady Grace, my 2012 entry into the book contests. Finished moments before entries closed, Lady Grace muscled its way into the pack. Will the Lady go the distance? I just received a notice from Jim Barnes of the Jenkins Group, which hosts the IPPY (Independent Press) Awards. The IPPYs are the oldest and largest contest for books produced by independent presses. THEY’RE STARTING TO ANNOUNCE THE 2012 WINNERS ON APRIL 27TH. ALL THE AWARDS WILL BE ANNOUNCED BY MAY 1! HOLY MACARONI! THAT’S THIS WEEK! If you do read my earlier article, which follows these introductory remarks, you may want to run screaming, vowing never to think about book contests. Is that what it takes to win? Yeah. I have a track record of winning––I’ve received twenty-one awards in book contests to date. How is no mystery: I outline exactly what I do in the re-posted article below. It’s a combination of dogged persistence, superhuman devotion to excellence, and bullheaded drive from the minute you write the manuscript’s first word until you pick up the award. Does the fact that I’ve won before make the waiting easier? No. Having won Gold, Silver, and Bronze medals at the IPPYs simply makes me more certain that I won’t win this year. At Your Shelf Life, we talk about feelings. How does it feel to be in the final weeks of a contest? People approaching the guillotine probably felt about the same. With the IPPY announcement this morning, we enter the almost final phase of book contest participation: The Wait. It’s awful, though I suppose I don’t feel any more stressed and anxious than usual. 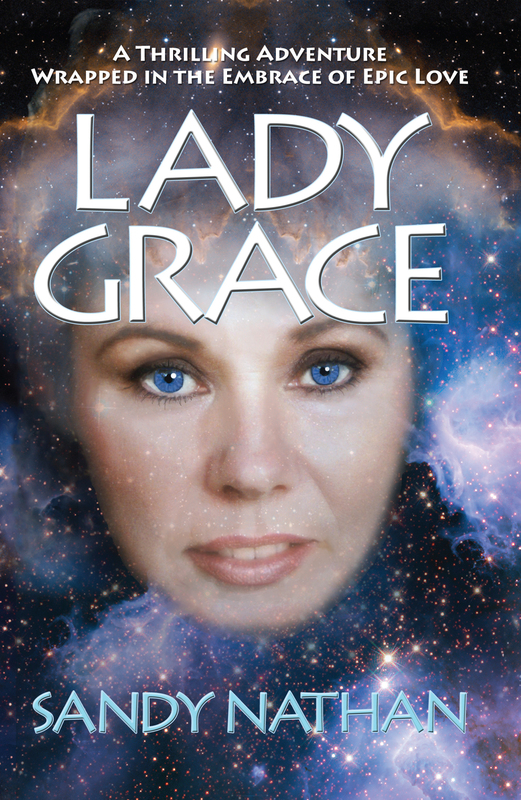 My new book, Lady Grace, wasn’t finished until the contests were almost closed. I threw together press packets and shipped books off, getting them in just before the contest’s “drop dead” dates. I only entered one category of the IPPYs: Visionary Fiction. No hedging my bets by entering other categories; no backup in case I don’t win in Visionary Fiction. I won the category in 2011, but that was then. This is now. No guarantees with book contests. The books of the current year are judged. Don’t matter what you did last year. Or the year before that. Or before that . . .
Once they announce the contest winners, participants enter the “Thrill of Victory, Agony of Defeat” phase. If you win, this phase is terrific. If you don’t win, it’s not quite so much fun. One thing you can do is read the article below and see where your book fell short. To win your category, your book may have to beat 171 entries. There’s no shame in losing. On the other hand, winning is really fun. The Agony/Ecstasy stage is followed by the Market-Like-Crazy stage. Your win won’t do you any good if no one knows about it. HERE WE GO––THE RE-POSTED “HOW TO WIN A BOOK CONTEST” FROM 2011. 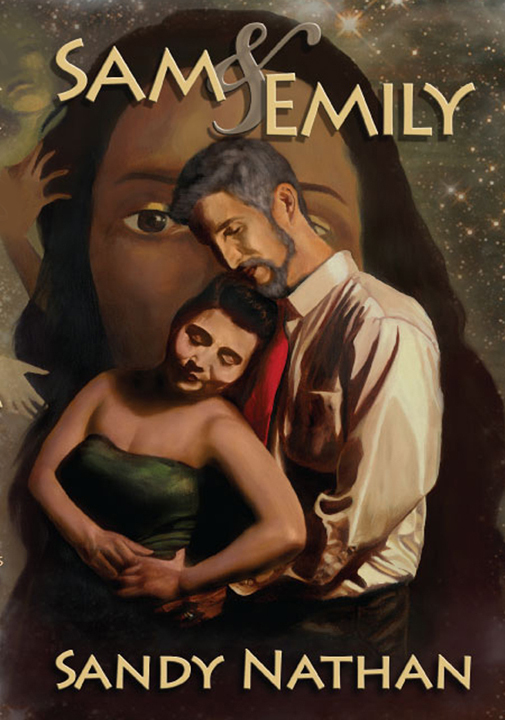 Sam & Emily: A Love Story from the Underground, Book II of Tales from Earth's End. This book didn't make it to the 2012 contests. It came off the presses just a little too late. Thought I'd post it to doll up the article a bit. MOTHER’S DAY, MAY 8th, 2011. OK. I’m fudging a bit. I started writing this article on Mothers’ Day, 2011, but have updated it to include contest wins that were announced later in the the year. As of today, December 5th, 2011, my books have won twenty-one national book awards. In addition to the twelve awards my first two books garnered, my two new books won nine more this year. The awards are listed way, way down at the bottom of this article and on my web site. Why am I telling you this? Winning is thrilling, for one thing. It’s worth letting people know about. Plus, all the articles say you should write about topics that you know. I know how to win book contests. I’m going to share my “secrets” with you here. After you’ve read this article, you may decide you would rather do anything than try to win a book contest. I used to be a straight A student. One of the guys in my class looked at my notes and saw what I did to maintain my 4.0. “I don’t think I want to be an A student,” he said, looking slightly green. How do you enter a book contest? The contests that I’m talking about are contests for independent publishers, small presses, and self published authors, though “the majors”––the big, traditional publishers ––do enter some of the competitions I’ll be talking about. I’m not discussing the Pulitzer Prize, National Book Award, the Nebula or Hugo Awards, the Booker Award, or the Nobel Prize for Literature. Professional associations and literary big-wigs nominate books for these are awards; you don’t sign up for them. I was talking about contests for indie authors and presses on an on-line forum once. Some guy posted a list of the big-big literary awards, intimating they were the only ones that mattered. If that’s how you feel, go back and get your MFA at Iowa or your PhD in literature somewhere and have at it. You might ask the universe for a brain re-do, too, giving you an English aptitude in the 99th percentile. And a stratospheric IQ. Let’s stick to what’s doable. To enter a book contest, pick one you want, go to its website, fill out the forms and pay your money. Send them your book and whatever else they want. Voila! You’re entered. How much does it cost? I have paid entry fees of between $50 and close to $200 per category. So if the entry fee per category is $50, and I enter two books in two categories, I’m going to fork out a not-insubstantial $200. Plus the cost of the books they want and the cost of creating a press kit/marketing materials to go with the books. Which category to enter? Look at your book’s BISAC category. BISAC is the Book Industry Study Group. They establish a list of official categories into which books are sorted. You selected categories when you sent your book to your printer, most likely, or when your registered your book’s ISBN with Bowker’s Books in Print or My Identifiers. You did register your ISBN, didn’t you? Or have your publisher do it? You need to do this. Which category to enter? The obvious one is your book’s BISAC code. But some of the categories in book contests overlap the BISAC codes, and some books could be described by several categories. Some categories in book contests are going to have lots more entrants than others, too. Chick-lit, science fiction, fantasy, and mystery, for instance. Lots of books are written in those categories; winning in those groups will be harder. What to do? My advice: Enter every category that your book fits, which may be four or five. You don’t know what the competition is going to be like in those different categories. You may hit one with only a few entrants. Or the judges of a particular category may like your book better. Hedge your bets. Where do you find book contests? Here are a couple of web sites with lists of book contests. I have entered many of these. SPR Self Publishing Review This link provides a list of contests. The awards have specific calendars relating to the publishing year and copyright dates. Some are for the previous year’s books. Read the instructions on every contest’s page carefully and make sure you are complying with directions. For instance, the Benjamin Franklin Awards accepts books with copyrights from the previous year. So in 2011, it accepted books with 2010 copyrights. The contests have final dates, after which you cannot submit a book. Most of them close in, maybe, February or March, others are later or earlier. Check your dates and your copyright data to make sure you comply. They often have big award ceremonies at the BEA Book Expo America, the largest book trade fair in the US. The BEA is a trip. Like a huge party for all the book glitterati. With free books! All you can carry. Why should you enter a book contest? Now you know how to enter a book contest. Why should you enter one? What will a book award do for you? I’ve read promotional materials that claim that winning an award will catapult your book into the ranks of best sellers and make your name as an author. It hasn’t worked out that way for me. I do have a friend who read my earlier article on this subject, Win Book Contests –– Make Your Book a Winner! on Your Shelf Life, this very blog. He took my advice and had his self-published book made into a hardback, entered it in a contest, and won. He was signed by a traditional publisher within weeks. Years later, he remains signed and happy and selling like crazy. While I don’t promise life-changing results, here are a few reasons book awards are worth pursuing. 1. An award will increase the visibility of your book. My first book came out in 2007; the second in 2009. I’ve just brought out two more books. I’ve found it much harder to make sales and keep sales momentum going now than in earlier years. I think that the difference is due to the phenomenal increase in the number of Indie books and authors and their marketing activities. Your book must stand out from and above the hordes. An award can provide that essential difference, provided it’s part of a marketing arsenal. The unspoken truth about book awards is that you have to put your winning book, with its pretty new sticker or badge, in everyone’s face and keep it there, or nothing will happen. 2. Goodies. Some contests have really good prizes. Money, publicity campaigns. Trips to holy places: Book Expo America, for one. These are worth competing for by themselves. We in the self-publishing/independent press world need to face this problem and police ourselves. I think that book awards can do exactly that. 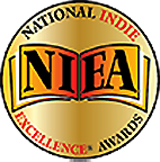 An award-winning book should represent the highest quality available in the indie/self-published book scene. Now that we’ve established good reasons for entering book contests, how do you win? I’m going to give it to you straight. Winning a book contest requires a huge investment of time and a relatively large investment of money. It takes years to prepare a book good enough to win. Getting the peripherals––your web site, blog, and press packet, with everything it includes––can take more years if you do it yourself. As an example, I started my new book, The Angel & the Brown-eyed Boy, in January of 2008. I’ve worked on it full time since then, except for when I was working on my other new book, Tecolote: The Little Horse that Could. Tecolote was supposed to be a redo/upgrade of an eBook we already had that I thought would take two weeks. Hah! What a joke. I worked on Tecolote for almost a year. I’ve been in constant communication with book designers, proofreaders, editors, graphic artists, web people and more, for three years. I’ve even been in touch with Tecolote, the horse behind the book. When I started thinking about this article, I didn’t know how my new books will do in contests; the results weren’t in. I was very nervous. As it turned out, I’ve won nine national awards this year. But it’s not guaranteed. Because I did well in the past doesn’t mean I will again. No guarantees in life. I’m not guaranteeing you anything in this article, either. Now that I’ve made you really happy, let’s get into the nuts and bolts of winning. The key is: If you win a book contest, you already know how to set up a winner. You know what excellence is and you know how to bring it forth. Getting the result is a job of work, like mucking out stalls at our ranch. Or getting straight As. I think I’ve done well in book contests because I used to show horses and win. When you win in a horse show, it’s because you started with a winning horse, then schooled, conditioned, fed, bathed, and trained him to perfection. You know all the rules as to the type of equipment and attire you should be using, and you employ them. You know how to ride and enter the arena with all sails flying. The judge will recognize you the instant he sees you. In a book contest, the judge faces an array of books. Your book has to leap out and SING. Also tap dance. HOW DO YOU GET A BOOK TO TAP DANCE? 1. Hardbacks show up better. You’re a judge. Thirty or forty books are sitting on a table. You won’t be able to read all of them. You see a well-designed hardback with a killer cover. Your eyes and hands gravitate to it. Wow. It’s beautiful. The paper even feels classy. You put the book in the “keeper” pile. Hardbacks have more weight in competition. Though this is changing. The hardbacks do show up better, but so much contemporary fiction is put directly into a trade paperback (and eBook) format that well-produced soft backs can also win. For a quick tutorial on commercial design, let’s look at phone book ads. Open the yellow page ads in any phone book. Scan the page quickly. Where do your eyes land? Note the ad. Do it again on another page, and another. In all probability, the ad that draws your attention is simple. Uncluttered. Either black, white, or mostly empty. The ads that grab your eyeballs and hold them have attained page dominance. People hire consultants to create dominant ads for them. Now go to a bookstore sale table and look at the books. Which books grab your eyes? Which do you pick up? Buy? A book contest is like that table. Clear, bold design that dominates the competition will win. Your cover must have an emotional hook. Think archetypes. Primal images. Something that grabs the inner psychology of your reader/judge. To win and much more importantly, to be purchased, your book cover and spine must dominate any table and any bookshelf. 3. Your title is really, really important. Your title embodies your book’s essence. It is the first text the reader sees. It should be engaging, easy to read, evocative, and compelling––it should set the emotional tone for your book. As should the subtitle or tag line (the one line description below the title). Also, most of the big catalogs of books will list your book by its title only. It better be memorable. If your book is in a book store, in all likelihood, only the spine will be visible to the buyer. The spine must be able to hook your reader. 4. The words on your cover, flaps, and first few pages of your book, your book’s copy, should be unforgettable. These words are your prime real estate and are what will make your book succeed. The book contest judge, book store owner, and your buyer will make a decision about your book based on these words––in seconds. You want emotional hooks, ease of reading, and enchantment. Writing copy is a skill. You can write text like an angel and not be able to pump out a winning tag line. Emmy-nominated screenwriter Laren Bright, the best copy writer I know, wrote an article about “The Most Important Writing in Your Book.” It’s copy. That’s what sells the book. I say: Hire it done if you can possibly afford it. Copy writing is like writing good poetry. You need to be able to produce succinct messages packed with meaning and emotional associations in a tight space. 5. Book design, interior & exterior: Your book should look like Random House produced it, no less. Every page and every word should be as well designed as your cover. Go to a book store and look at bestselling books. Get a copy of the Chicago Manual of Style––a gigantic book that lays out everything about books––and make it your best friend. A very important note: Never have your title page on the left side of the book. Do not do that. (I saw books with this flaw in the contest I worked on. This is such a bad error that if you don’t know how bad it is, you’re in big trouble.) Know the proper order of pages in a book. Know what a half title page is and where it goes. The contest judge will know about this stuff. 6. Self-publishing, small presses, template designs. Some contests are specifically for self-published books, by that I mean books put out by the big POD printers like lulu.com, iuniverse, createspace, and the rest. If this is your competition, let your lulu imprint show. If you’re in open competition, hide any evidence that you are associated with these mass printers. You don’t want their names on your book anywhere. Some people/judges have prejudices against self-published books. There’s not as much of prejudice against author-owned small presses––after all, Benjamin Franklin had one. So did Mark Twain, DH Lawrence and tons of big literary names. If you own and operate a small press, that puts you in a different category, even if your book was printed by CreateSpace or Outskirts Press. Just make sure that nothing about the mass producers shows. If you decide to set up your own small press, create a killer logo and press name, and have the book professionally designed and produced, you’ll be in good shape to compete. Templates: Don’t use these. Many of the big POD publishers set up their books’ interiors using templates. Templates are standardized arrangements of a the elements of a book’s interior and/or cover design. With a template, text blocks are a certain size, font choices are limited. Books designed using templates don’t show up well in contests. The text is set too tightly, and the margins are too small. There’s not enough variety in the overall design. In contests, judges may see several books with standard interiors and the same cover photo. If your book is one of thirty in a category, or one of three hundred, it has to stand out. A template won’t do it. 7. Professional production: The book contest judge may not have time to read all of your book, but he or she will sample pages and text. Typos, lousy interior and exterior design, cheap paper, all of it pops out. Hire a content editor, copy editor and proofreader. Hire a book designer. Believe it or not, they’re not all super expensive. Look at my blog roll on Your Shelf Life. Some great professionals are listed there. Also, you can find independent book-making professionals who are cheaper than the design and other services offered by the big POD, author services. I was poking around on one of the major sites recently. They were offering a “big sale” on their “professional editorial and design services.” The sale price was twice what I pay for my professionals and I get top quality work. I was on kindleboards the other night, and a number of old-timers advised newbies the same thing. Shop around; you can do better with your own pros. 8. Peripherals: your web site, stationery, & press kit. You did include those with your entry, didn’t you? I assure you, the winners did. The book contest judges are very likely to check your website, especially if you make it through enough of the hoops to stay in “the good pile” to the end. The “ad-ons” are breakers. Two books might be ranked about the same, but if one author has an amazing web site and hosts a blog with a bazillion visitors a day and provides vital services to the world––who do you think will win? Ditto if an author provides copies of his book’s terrific reviews, testimonials, and advertising materials in a lovely custom folder. I also suggest sending a press kit with your books when you send out review copies. Lots of time and trouble to do, but the reviewers love them. And the star treatment you’ve given them by providing a professional presentation. Oh, yeah. What about the video for your book? Is that linked prominently on your site? Mentioned in your press kit? As a reality check, the press kits for Tecolote: The Little Horse That Could & The Angel & the Brown-eyed Boy took me about four months’ work, sandwiched between other book production tasks. The press kit for each book includes a one sheet (an 8.5” X 11’ glossy sheet advertising your book), custom business cards, over-sized custom postcards, and a Press Release, Author Bio, and Sample Interview specifically written for each book and designed with in Word with custom graphics. All are designed and printed professionally. These items were placed in presentation folders that matched the books’ designs. 10. The book itself, as in––what’s between the covers? In your writing group, you concentrate on literary skills and arts. Word by word, you construct and deconstruct and reconstruct your masterpiece. Ditto working with your editor. You write, rewrite, slash and burn, and make your manuscript rise again. You struggle to express exactly what you want, and worry about pacing and plot and characters. I was in two writing groups for a total of eleven years. I’ve worked with maybe six or seven good, tough editors. Almost all of this was grueling, painful, hard work. My writing has improved. The quality of the content of your book matters, especially if you want it to sell. If you want word of mouth to propel it. If you want to read it yourself in future years and not be embarrassed. Most likely, the contest judge or panel of judges isn’t going to read all of your book. They’ll sample it and look at different aspects of it. Does that mean you can skip the eleven years of writing groups and all those creative writing classes? No. Whatever random page a judge’s eyes fall upon will produce an impression. All the pages have to be good, since you don’t know which ones will be read. You need to know lots. For instance, what terms relating to race, ethnicity, or sexual preference are OK to use in modern literary and cultural circles? 11. The “you’re on your own” clause. Even if you do all this, you have no guarantee of winning anything. What you toss into the arena may be great, but you don’t know what the other contestants submitted. I never feel secure that I’ll win, no matter what my book is like, no matter what I’ve done in the past. Producing a book that wins contests is a big job requiring a commitment of time and money. It doesn’t have to be a HUGE commitment of money, but its going to cost something. Before you enter a contest, you should know what you’re up against. I’m thinking something else as well. Don’t the buyers of your book deserve a product that measures up to these standards? I have a blog article on assuring quality in self-published books right here. Here’s a list of the awards my new books won this year. The stuff my two older titles, Numenon and Stepping Off the Edge, won is shown on my website. Note that being a Finalist in a book contest counts as an award. Book contests are like the Academy Awards. Academy Award nominees can add “Academy Award nominee” to their names the rest of their lives. Being nominated is a mark of distinction itself. Ditto being a book contest Finalist. My book,Tecolote: The Little Horse That Could won the 2011 Silver Nautilus Award for Children’s Nonfiction (Grades 1-6). The Nautilus Award recognizes books that promote spiritual growth, conscious living & positive social change. I love that, because that’s what I’m trying to do with my writing. On May 5th, my sci-fi, fantasy, visionary fiction novel, The Angel & the Brown-eyed Boy, won the the 2011 IPPY (Independent Publisher) Gold Medal for Visionary Fiction. The IPPY Award contest is the oldest competition for independent presses. In 2011, 3,907 books were entered in the IPPYs. On May 15th, the winners of the 2011 Indie Excellence Awards were announced. 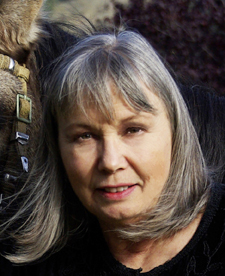 The Angel & the Brown-eyed Boy won the Visionary Fiction category. Tecolote: The Little Horse That Could was a finalist in two categories, Animals/Pets General and Juvenile Non-Fiction. (In book contests, being a finalist counts as an award, just as being an Academy Award nominee counts.) I have the books entered in one more contest which has not announced winners yet. The Best Books of 2011 Awards (USA Book News) were announced in the Fall. I won four more awards. The Angel & the Brown-eyed Boy won two awards. It was a Winner in the Fiction, New Age category, and a Finalist in the Fiction: Fantasy/Sci-Fi. Tecolote: The Little Horse That Could also won two awards. It was a Winner in Children’s Nonfiction and a Finalist in Children’s Picture Book Softcover Non-fiction. You’re very kind to share your hard-earned advice. Now if I could only follow in your footsteps . . . I think you will follow in my footsteps. Just wait . . .
Sandy, I think you’re my favorite compulsive, obsessive whacko of the day, maybe of the week. Y’know, this isn’t just about winning contests, as you said. This is a brilliant checklist for making sure your book is the best quality it can be. Oh, darn! I always strive to be the most obsessive whacko of the year! Or maybe forever! It is a pretty complete outline of how to put out a book, Glad you found it valuable. Now to go back to obsessing about the IPPY results. They’re coming in tomorrow at the latest. AAAAAAH! ← At Last I Know Amazon Cares . . .